Vaulted ceilings allow for this stunning feature wall to be the focal point in this comfortable Great Room. 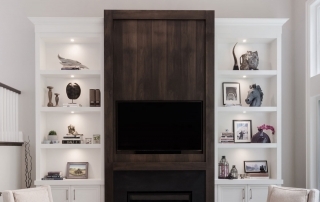 Painted cabinetry flanks the Walnut stained centrepiece integrating fireplace and television for everyone’s pleasure. 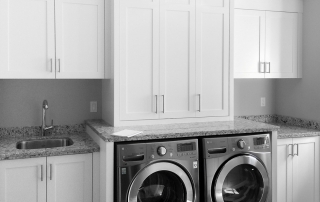 This fully integrated Built-In shows beautifully in an 8ft ceiling family room open to the kitchen area. 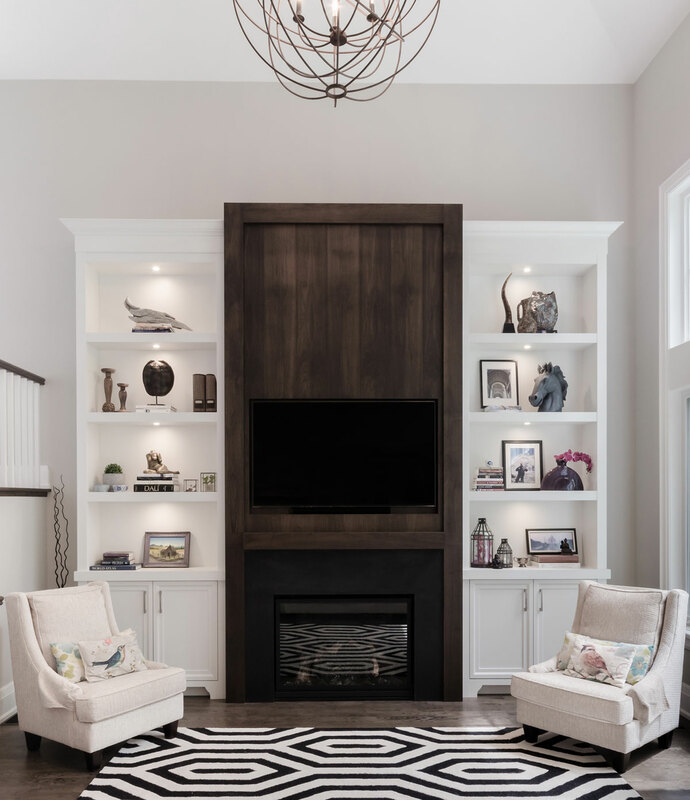 Utilizing an existing firebox, the design was formed for display and useful storage. 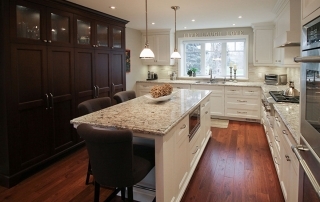 This kitchen was planned with the gourmand in mind. 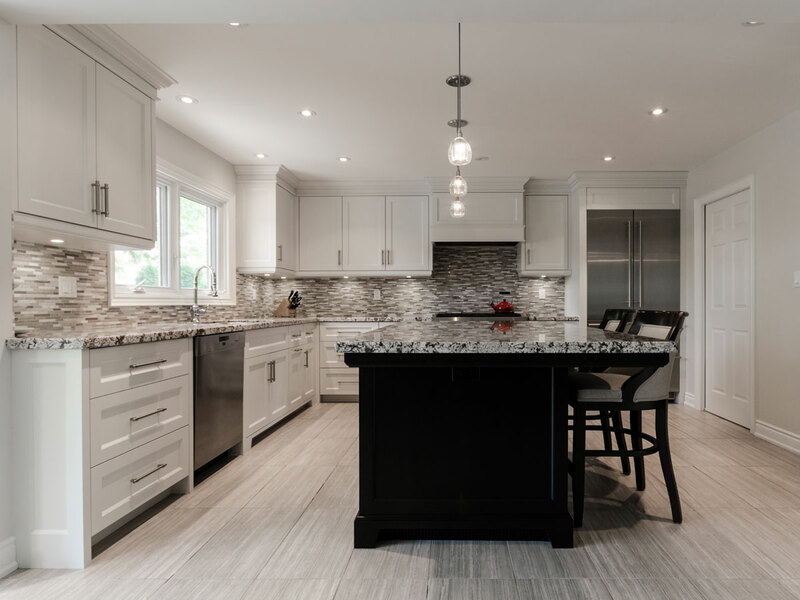 The layout allows for many hands to be busy in this kitchen, as well as the room for guests to feel welcome and comfortable. 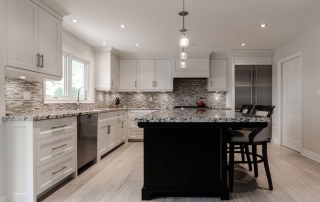 The ceiling detail compliments the cabinet layout. 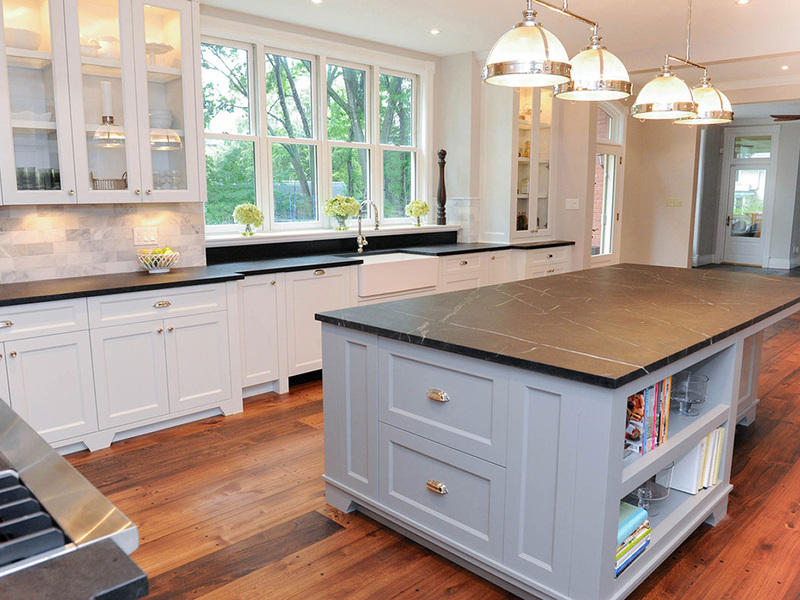 A dream space for active cooking. 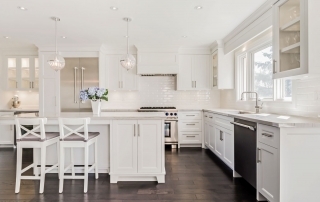 This kitchen transformation required careful attention in its planning stages as walls were modified to ensure comfortable clearances around the island worked in the newly laid-out kitchen space. 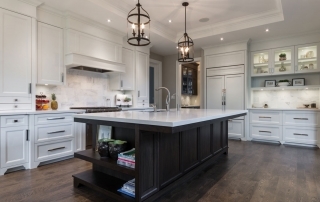 Furniture style Walnut cabinetry showcases this family’s wish for a beautiful kitchen space where function was not compromised. Utilizing the dramatic window wall for cooking as well as making a statement meets everyone’s needs. 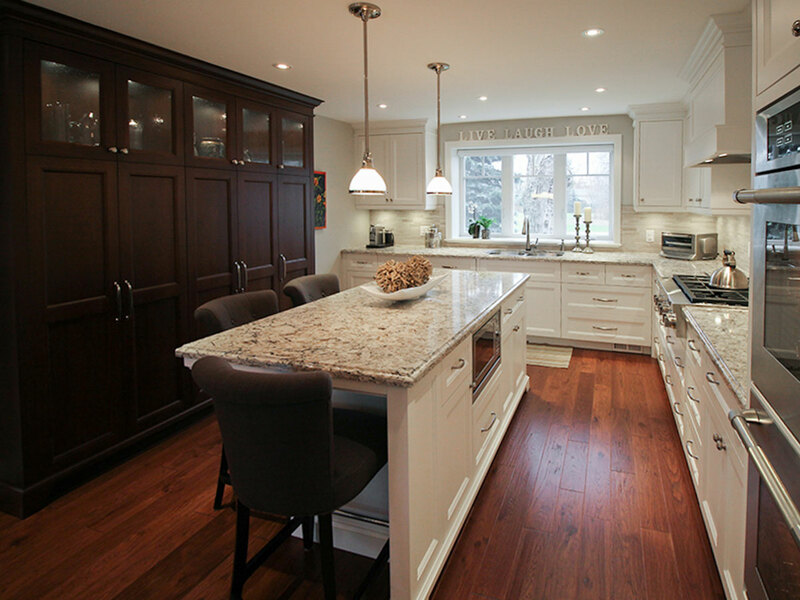 A main floor reconfiguration allowed for this Chef’s kitchen to be placed in what used to be the family room area. 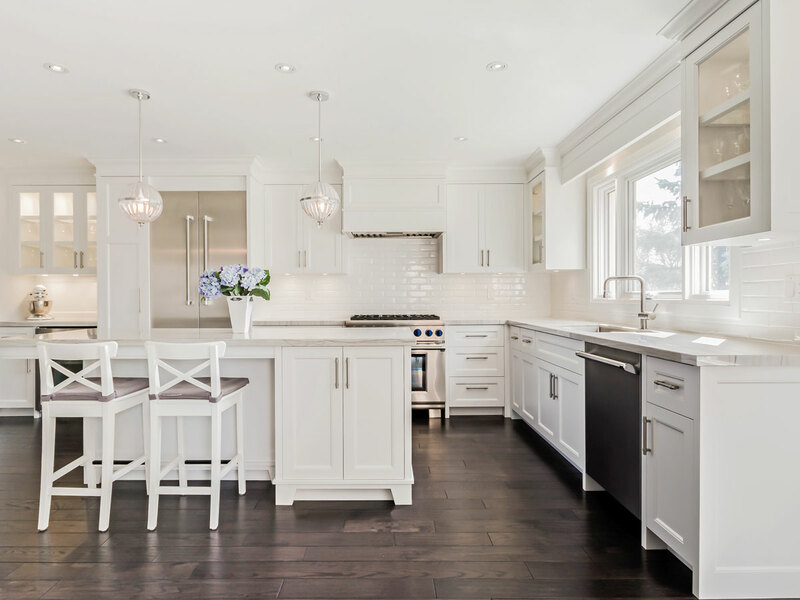 This design allows for an active family with many requirements for cooking, entertaining and comfort to be achieved. A discreet walk in pantry was intentionally planned for additional storage. 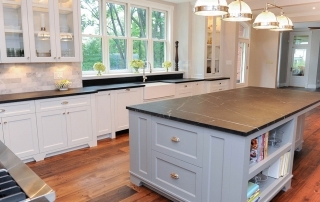 Gorgeous granite countertops compliments painted cabinetry. 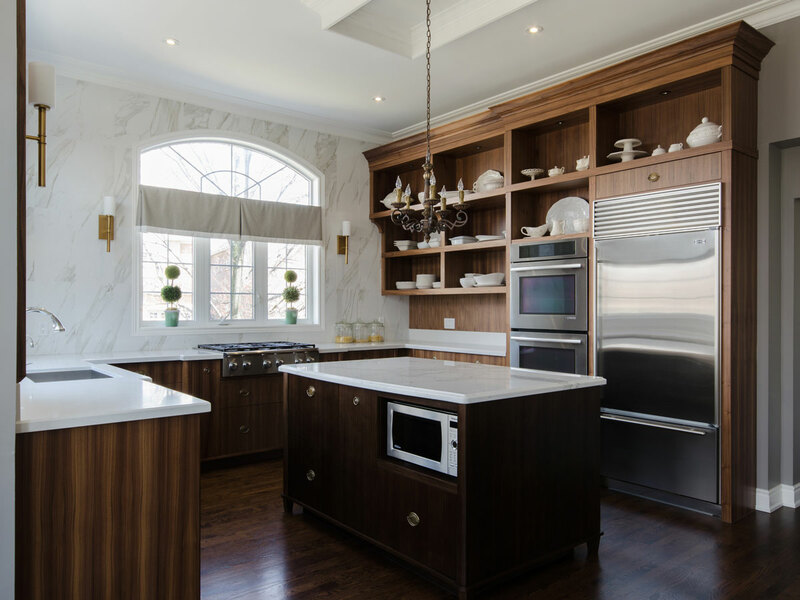 A custom stained shallow depth pantry with glass accents transform what used to be the living / dining room space in this home. Natural light floods the space with the gourmand in mind. 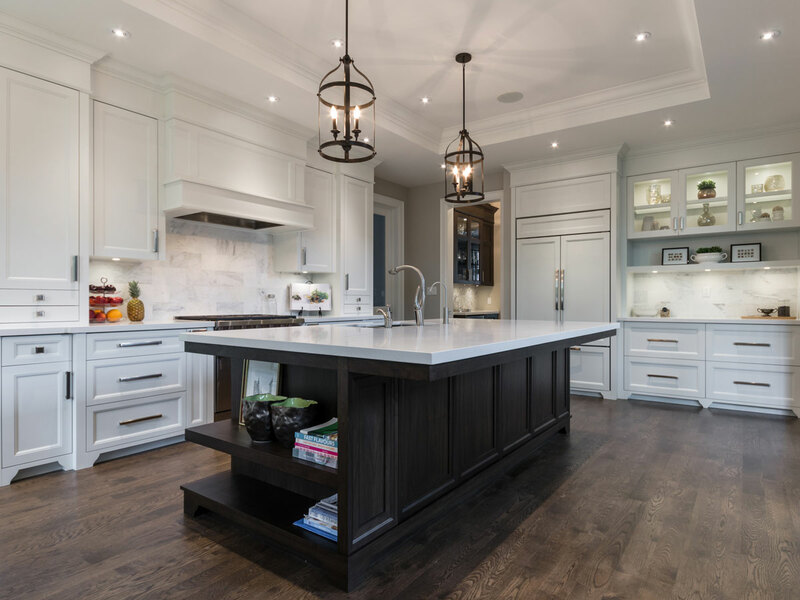 The classic elegance of this kitchen is a combination of design concepts including amazingly beautiful Soapstone countertops, open plankboard corner display shelving, concealed task lighting within the upper cabinets and a distinguished subtlety coloured island with furniture base. 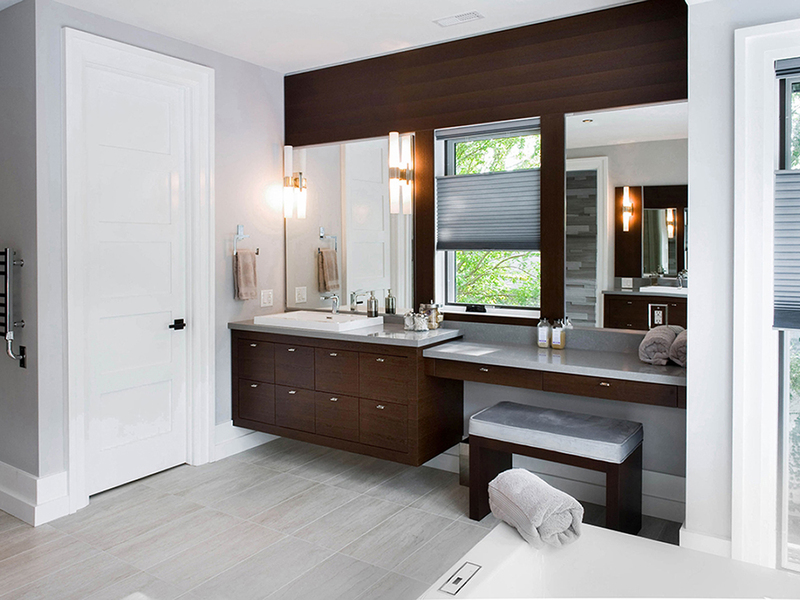 A transitional Master Ensuite with a modern twist. 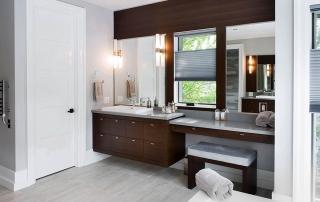 Richly stained Walnut floating vanity with integrated mirror and makeup table. 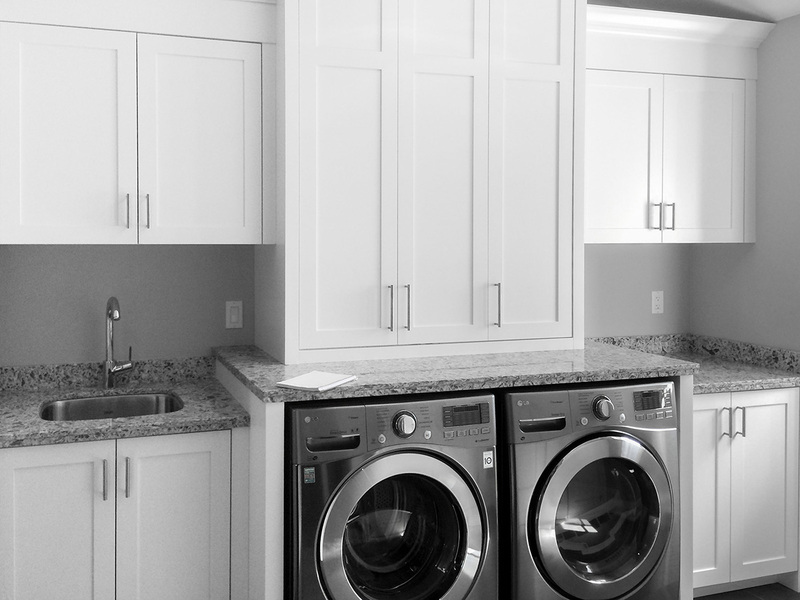 The laundry area is designed for the new custom home with the idea of utility and to make life easier for the owners. The room features a folding area with plenty of storage to ensure everything gets tucked away neatly.